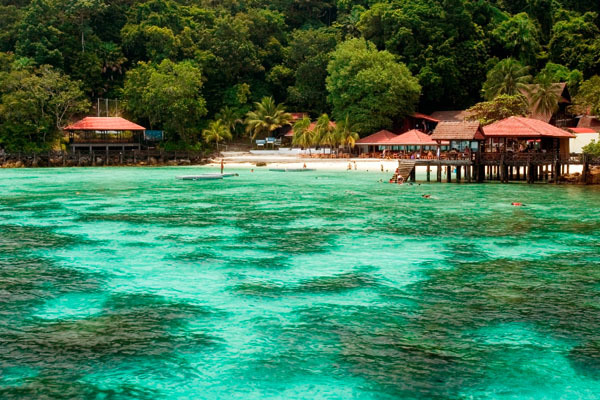 Labuan, a triangular shaped island with six smaller islands, is located 10 km off the coastal waters of Sabah. The Federal Territory of Labuan comprises Labuan Island (75 km²) and six other smaller islands which are Pulau Burung, Pulau Daat, Pulau Kuraman, Pulau Papan, Pulau Rusukan Kecil, and Pulau Rusukan Besar. 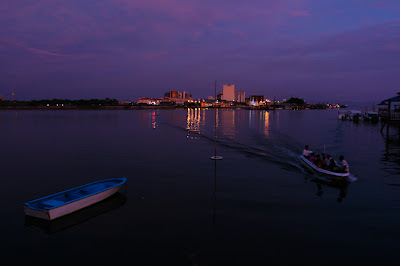 Facing the South China Sea, Labuan is situated south-west of Sabah and to the north of Brunei Bay. One can visibly see nearby Sabah and Brunei which is accessible via ferry service. It is one of three federal territories in Malaysia. The others are Kuala Lumpur and Putrajaya, located in Peninsular Malaysia. Labuan is recognized as an international offshore financial and business centre. 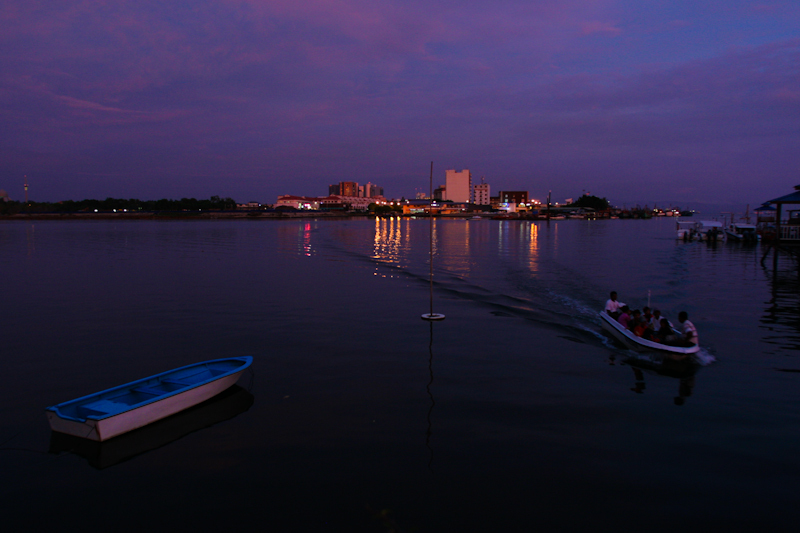 Offering a host of amenities, Labuan has become a popular island for tourists both foreign and local. It boasts world-class resorts, sandy beaches, duty-free shopping, wreck-diving, golfing as well as several important World War II Memorials. Along this stretch of beach, is the Pancur Hitam Beach, with a beautifully landscaped park extending directly to the sandy beaches. There is also Layang-Layangan Beach, a popular hang-out of Labuan folk during weekends. Labuan is surrounded by small islands which are Pulau Rusukan Besar, Pulau Rusukan Kecil Island, Pulau Kuraman, Pulau Burung, Pulau Papan and Pulau Daat. Popular among these is Pulau Papan (Papan Island) catering to tourists and visitors with facilities such as campsites, chalets, and will thrill adventure seekers on an exciting adventure throughout the island. Kampung Patau Patau, or Patau Patau water village in Labuan is a large village built on water. These wooden houses hark back to the water villages reminiscent in Brunei. There are also homestay facilities where visitors can revel in the rich historical culture of the water villages. The chimney, located at Tanjung Kubong is an artefact from Labuan’s coal mining days (1847 -1920). This 106 feet tower, made from bricks imported from England was supposed to be used as a chimney. However, there are no traces of smoke or burning at the chimney. However, nearby coal mines suggest that this would have been used a chimney. There is also a museum housed in the information centre adjacent to the chimney. Located along Jalan Tanjung Batu, the cemetery, also known as the World War II Memorial, was constructed and is maintained by the Commonwealth Graves Commission. It honors men of the Australian land and air forces, as well as the local forces, who died valiantly during operations for the recovery of Borneo. Some were prisoners of war in Borneo or the Philippines. The Australian government later officiated at the World War II Memorial grounds in Labuan in June, 1953. 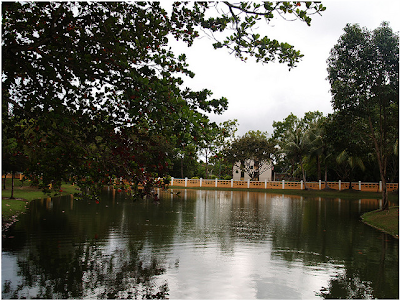 Built as a memorial to honor fallen war heroes in Borneo during World War II, the Peace Park is located at Kampung Layang-Layangan. The memorial is surrounded by landscaped gardens, pavilions and was built by the Japanese as a symbol of peace and close ties between Malaysia and Japan. Situated at a tranquil spot near Surrender Point, this place appreciates peace with an etched stone situated at the entrance of the Park, ‘Peace is the best’. There’s something for everyone here on the island of Labuan. So come and explore Labuan now!